What an opportunity Bull Creek Ranch offers to prospective buyers. It is rare that an offering of this size comes available along the Bighorn Mountains, and more importantly, one that has been held in the same ownership since the early 1900s. A truly diverse grazing unit with topography varying from open rolling plains to the high mountain elevations, it is almost untouched by public roads and has no conservation easements in place. It is virtually untouched and remains as it was over 100 years ago. Well suited for livestock grazing and outstanding hunting, Bull Creek Ranch represents the most exciting opportunity we have seen in many years. Raised on a ranch south of Buffalo, Mike Fraley became passionate about agriculture and the outdoors at an early age. While growing up on the family ranch, Mike worked in many facets of the operation including farming and irrigation, commercial hay production, and raising cattle. Today, he enjoys sharing his heritage with his family. Mike graduated from Texas Tech University in 1994. Soon after graduation, the call of the Rocky Mountains brought Mike back to Wyoming as an agriculture instructor in Meeteetse, Wyoming. His entrepreneurial nature soon had Mike owning and running a commercial weed spraying and range management business. Returning to Buffalo in 1999 he bought a Farm Bureau Financial Services office. 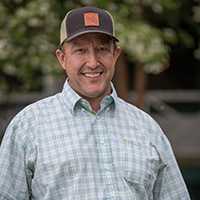 After a successful 10 years in the insurance business, Mike’s love of the land caused him to turn his attention to the ranch brokerage business. 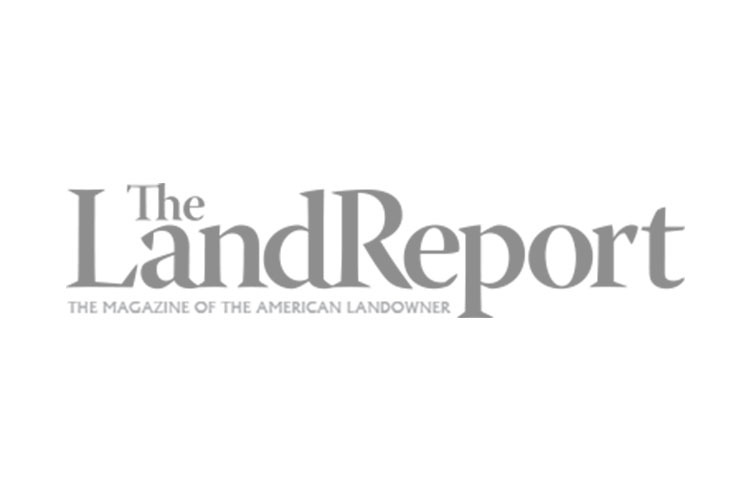 It was a natural fit for Mike and he quickly established himself as one of the top ranch brokers in Wyoming. Located just five miles south and west of Buffalo, Bull Creek Ranch lies adjacent to the Bighorn National Forest and encompasses some of the Bighorn Mountains themselves within its boundaries. This is one of the largest private holdings in existence on the Bighorn Front between Buffalo and the Montana state line. It is certainly the largest to be offered for sale in recent history. It is accessed from the county-maintained Klondike Road directly south of Buffalo. When entering this 8,713± acre ranch from the eastern boundary, one looks across open pasture land and a series of valleys that come out the Bighorns on the ranch. It consists of 7,651± deeded acres, with an additional 783± acres of State of Wyoming lease and 278± acres of BLM lease. Two live streams flow out of the mountains in an easterly direction. This is an excellent livestock grazing ranch with good water development and loads of wildlife. There are numerous spring-fed, aspen-filled draws which combine with a diversity of terrain and cover to make Bull Creek Ranch into what we believe to be the best private elk hunting ranch along the Bighorn Mountains. This ranch has been in the same family ownership for nearly 100 years, has no structural improvements and is unencumbered by conservation easements. Unencumbered by improvements and conservation easements. The ranch is accessed off Klondike Road, south of Buffalo, where the county-maintained road passes through the most easterly side of the ranch. From there, the landscape changes dramatically to the north and west, from open grass plains that feed up into rugged draws, benches, ridges, and ultimately the Bighorn Mountains. Within the ranch boundary, there are three small streams and at the far northern border is Clear Creek. Kelly Creek passes through the south end of the ranch and Bull Creek drains through the heart. Grummond Creek flows northerly along the west boundary of the ranch and into Clear Creek. The rangeland is well sodded and provides exceptional livestock grazing. The ranch has been well cared for and has typically had 200-300 pairs grazing the ranch from June through early winter. The mountainous north end of the ranch has many spring-fed tributaries that flow off Bald Ridge and down into Clear Creek Canyon. The west side of the ranch has very deceiving topography. From a distance it displays as an abrupt “flat fronted” face of the mountain, but it is actually filled with canyons and layers of mountain fronts. Near the base of the main mountain are red-rimmed mahogany ridges that are covered with mountain mahogany on the east side and pines on the west. These deviations in contour provide hidden areas for game that are nearly impossible to see until ones actually stumbles into them. Many of the canyons that run easterly out of the mountains are filled with deciduous trees and willows. From a distance, the ranch appears to be a mostly open topography, but upon closer inspection the many changes of contour are revealed. It is scenically appealing and a magnet for a broad diversity of wildlife. The Bull Creek Ranch is located southwest of Buffalo encompassing Bald Ridge, the face of the Bighorn Mountains and the valley between. Approximately five miles from Buffalo, Wyoming, the ranch is extremely private, but close to town amenities. It lies on and below the east face of the Bighorn Mountains and flows easterly, losing elevation, into the rolling grass prairie. Just a few minutes from the ranch lies Buffalo, a small but prosperous town that sits at the crossroads of three major thoroughfares - Interstate 90, Interstate 25 and U.S. Hwy 16, also known as the Cloud Peak Scenic Byway. Sheridan and Big Horn are just 30-45 minutes away from the ranch via I-90. Commercial air service is available in Sheridan by commuter planes from Denver, CO and Buffalo, WY has its own airport for private aircraft. Casper, WY is 115 miles to the south and offers more extensive service. 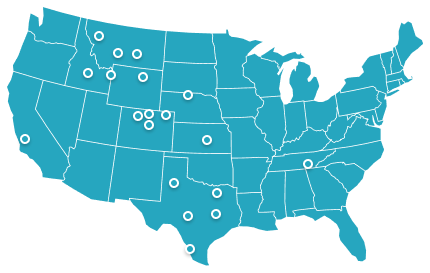 Billings, MT, two plus hours to the north, offers even more alternative commercial flights. Buffalo boasts a full range of services and amenities for a small town, with most anything else available in Sheridan. Immediate neighbors of the Bull Creek Ranch are mostly large ranches. There are three primary land owners surrounding the ranch on three sides, all with the reputation of being conservative and conservation minded. The western boundary is the US Forest Service, in an area that is mostly inaccessible. The very near community of Buffalo exhibits a desirable small town atmosphere with plenty of amenities. The town is bustling and steadily attracts full-time residents from across the U.S. In addition to Buffalo, nearby Sheridan has a rich western tradition. An historic hub for large legacy ranches, Sheridan is much more than a just a cow town, however. 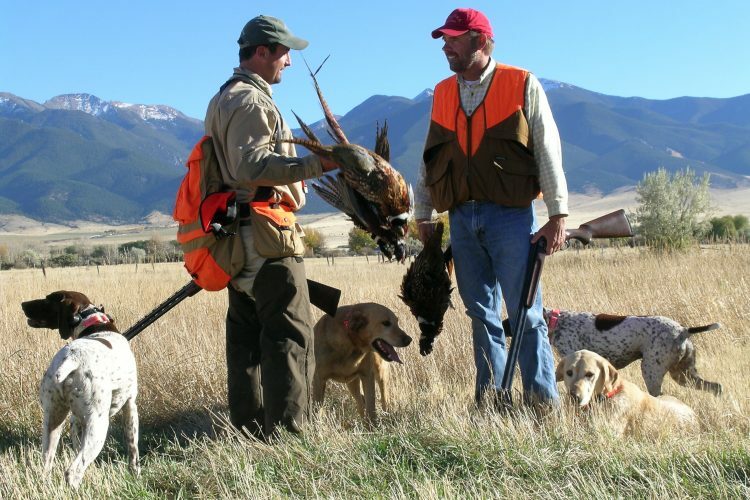 It boasts some of Wyoming’s best fishing and hunting, gourmet dining and a championship golf course. Bull Creek Ranch is essentially unimproved with no structural improvements. This is refreshing in this day of massive homes built to someone else’s taste. The ranch is truly an open canvas in one of the most beautiful parts of Wyoming. The only improvements are for livestock and wildlife. There is a newer set of livestock working corrals, and excellent livestock and wildlife drinking water developments. Bull Creek Ranch has excellent water resources with water well distributed throughout all portions of the ranch. Within the ranch boundary there are three small streams and at the far northern border is Clear Creek, a nice fishable flow of water. Kelly Creek passes through the south end of the ranch and Bull Creek drains through the heart. Grummond Creek flows northerly along the west boundary of the ranch into Clear Creek. Throughout all of the ranch is an excellent pipeline watering system. The pipeline is filled from a flowing spring that accumulates water into a large 20,000 gallon storage tank that gravity feeds into a poly pipeline with eight tire tanks that overflow into small reservoirs, requiring no pumping cost and providing year-round flows. Seller is conveying 100% of the mineral rights that they own. The exact ownership is not known but is believed to be significant as it has been in the same hands for so long. Based on past years, the real estate taxes are estimated to run approximately $1,853.37 per year. The Bull Creek Ranch, because of its diversity of terrain and scattered water resources, offers a broad cross section of wildlife. The ranch is thought by most locals to be the best elk hunting property on and along the Bighorn Mountains. It is large enough and has the cover to hold elk. It gives them an escape from hunting pressures of the nearby forest service. Any given day during hunting season, numbers from 100 to 1,000 elk can be seen on the ranch. The ranch is in elk hunting area 35, and it is one of the most sought-after areas, known for producing trophy quality bull elk. It is also home to excellent populations of both mule and whitetail deer, as well as antelope. It currently receives two landowner tags per year for each of these species. There are also huntable populations of Hungarian partridge and sage grouse. 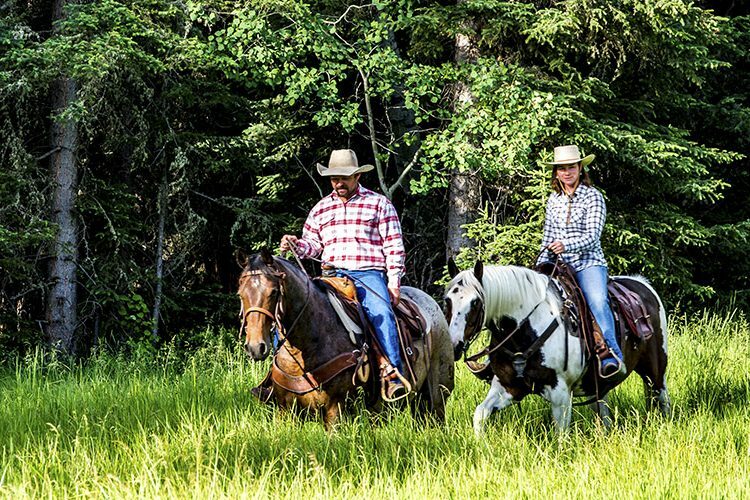 Other recreation beyond the simple enjoyment of these wildlife assets would include horseback riding, hiking, bird watching and utilizing other motorized forms of transport to access the ranch’s 8,700± acres. It is difficult to imagine a ranch that is better located to enjoy the vast array of recreational opportunities for which the area has become famous. Big game hunting, fishing, and pack trips into the spectacular country that lies west of the ranch, just to name a few. Buffalo also has an excellent 18-hole golf course and many other amenities. The ranch has been held in the same hands since the early 1900s. Historically, it has been leased to area ranchers for summer and fall grazing. 200-300 pairs graze the ranch throughout the summer months into early winter. Great efforts have been made to not overgraze the ranch and leave plenty of forage for the large numbers of wildlife. It has always been coveted by the owners as a place to enjoy recreationally. The T & G Ranch is 2,620± acres, five pastures and has 145± acres of dryland hay fields. Watering the ranch are a well and pipeline and 16 reservoirs dugouts. The 1,411± Pine Ridge Ranch will be offered in 27 Tracts ranging from 40± acre home sites to a 292± acre working ranch with impeccable improvements. Near Cody, this 2,200± acre elk hunting/fishing ranch offers complete tasteful improvements, over two miles of the Wood River, and dramatic mountain country adjoining massive block of USFS wilderness. 222± unimproved acres two miles from Buffalo, lying along one mile of trout-filled Rock Creek. Lush meadows, secluded homesites, Big Horn Mountain views. It awaits the next chapter.